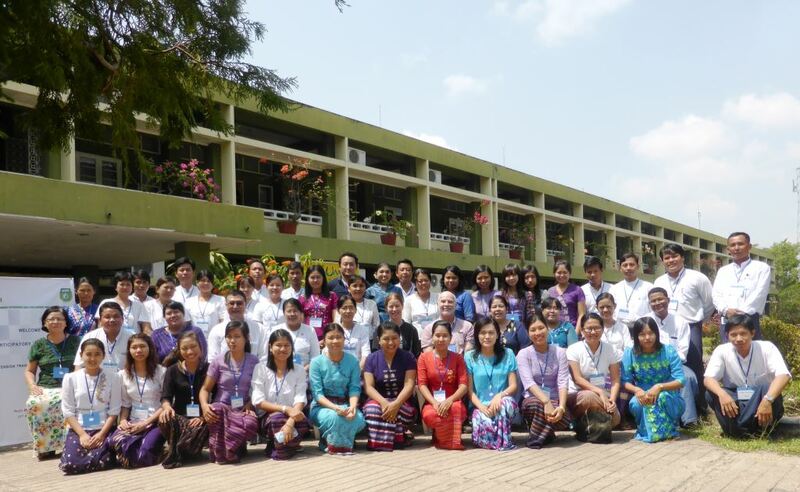 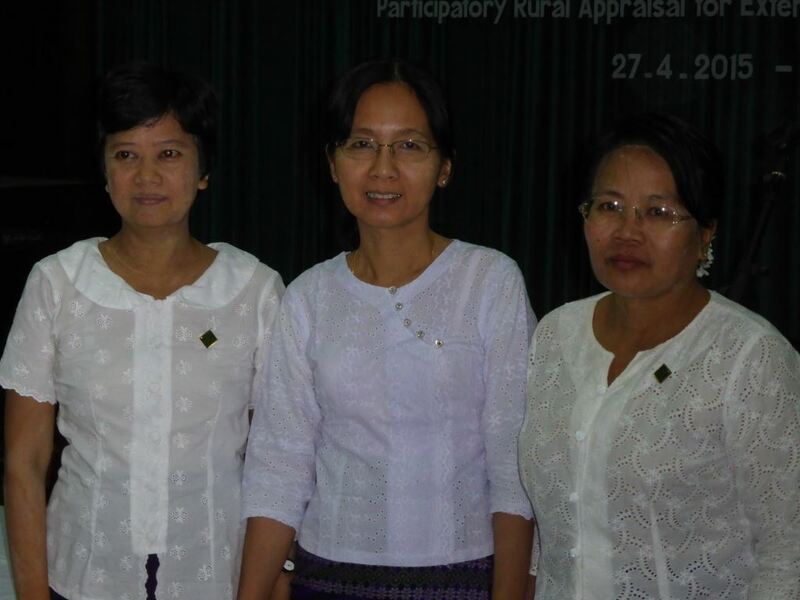 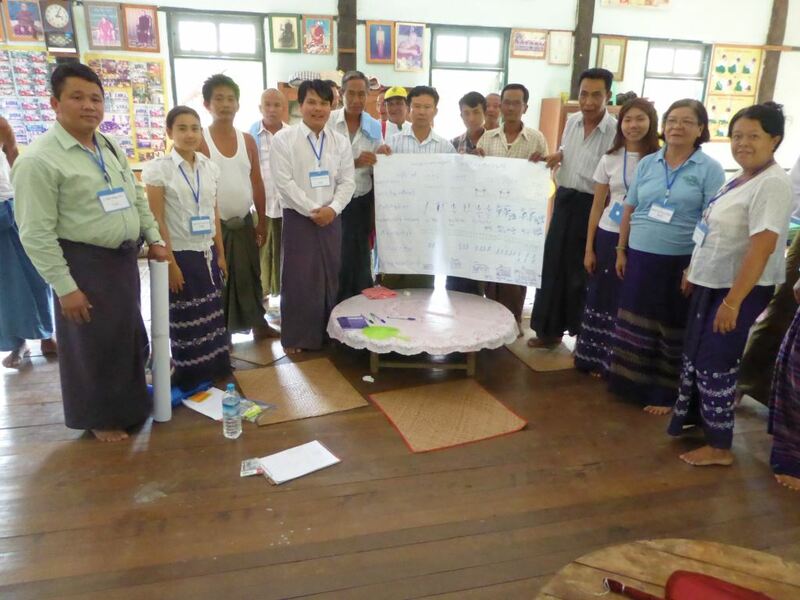 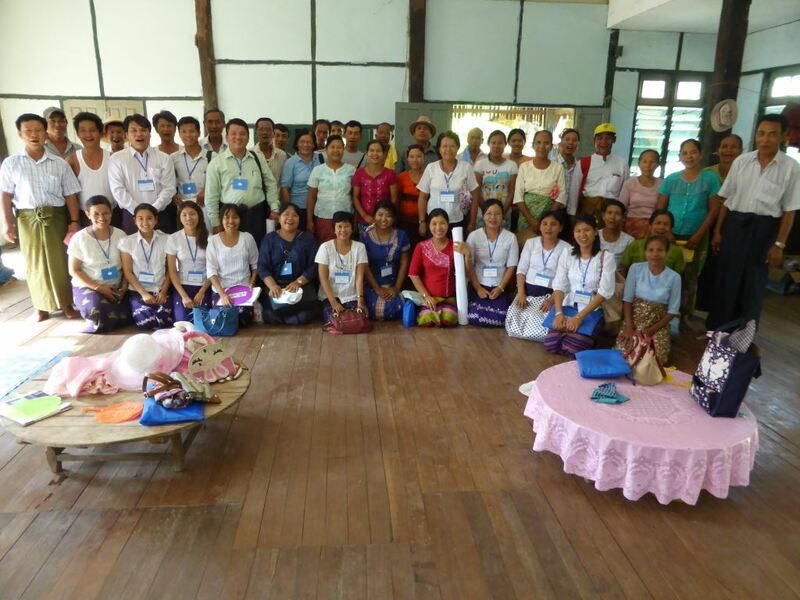 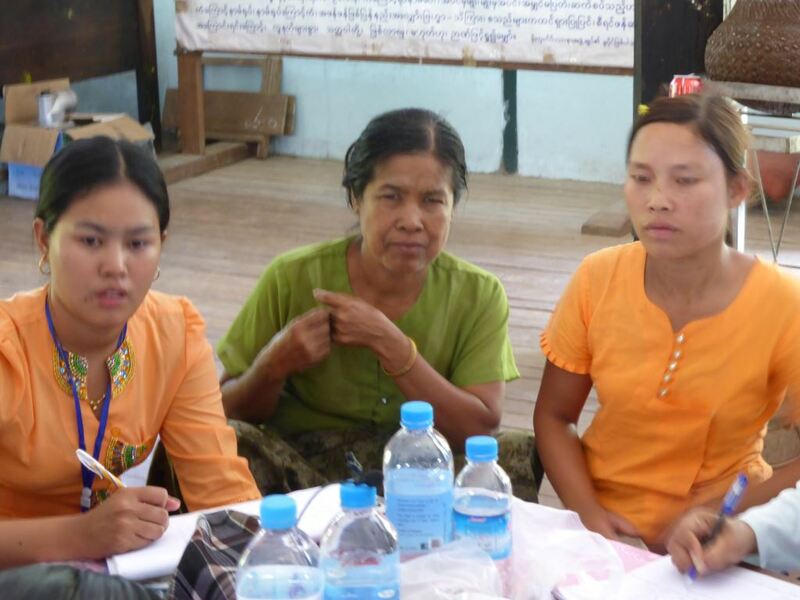 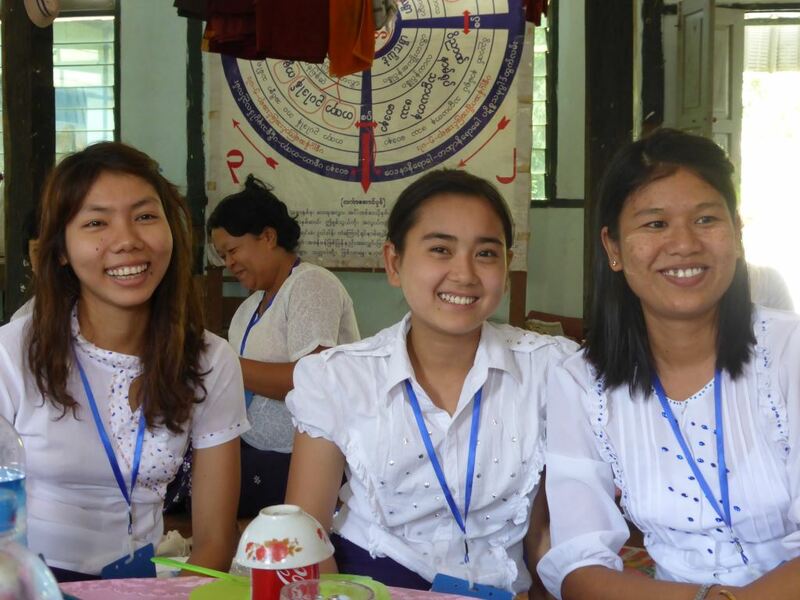 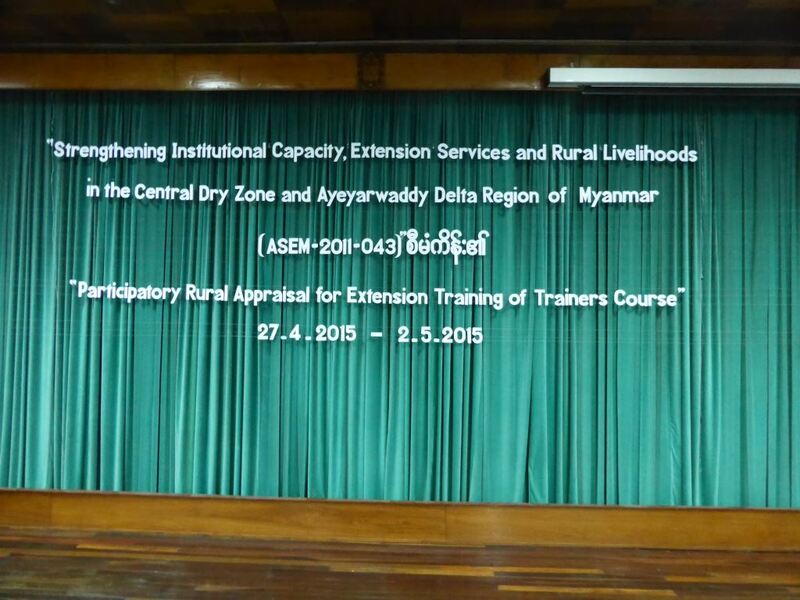 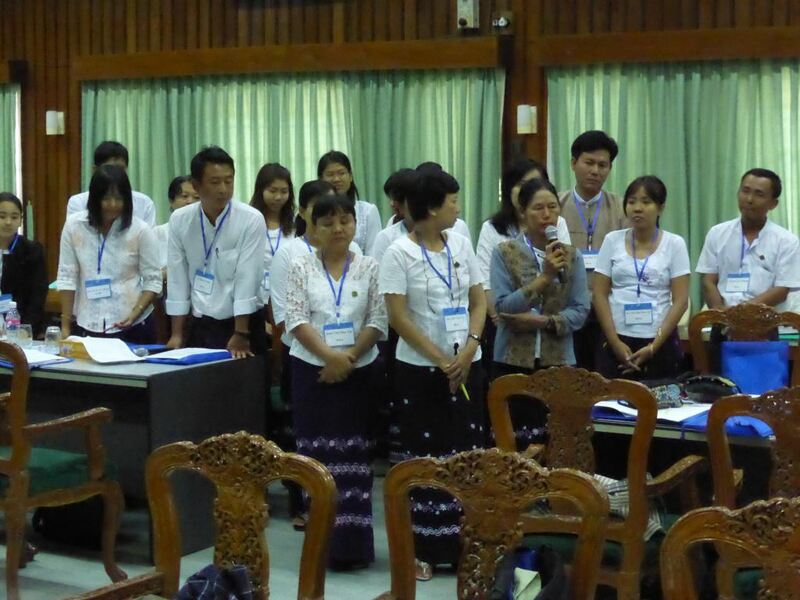 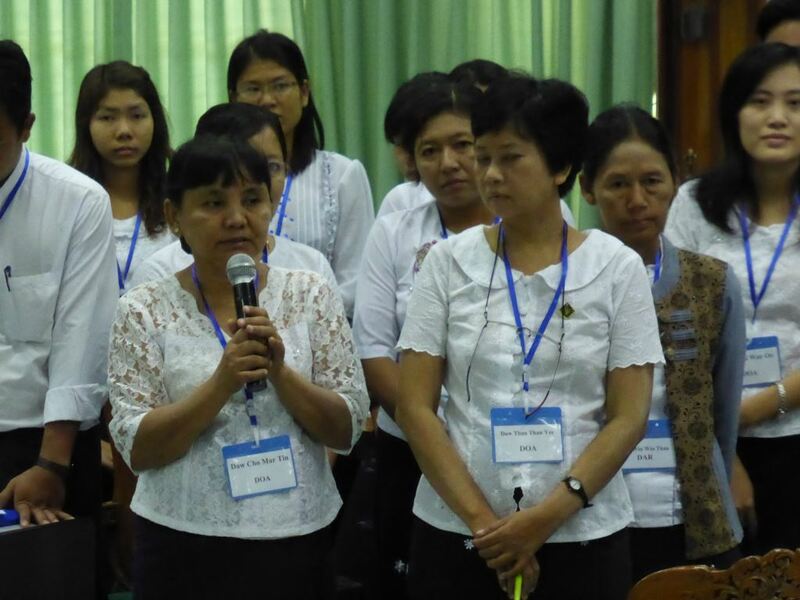 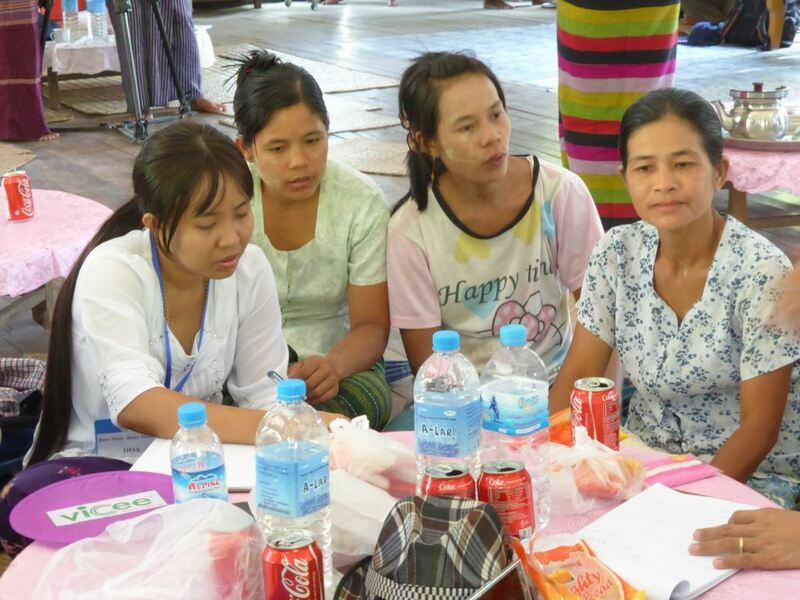 To strengthen institutional capacity, extension services and rural livelihoods in the Central Dry Zone and Delta regions of Myanmar, the Crawford Fund has supported a six day workshop on Participatory Extension Training of Trainers. 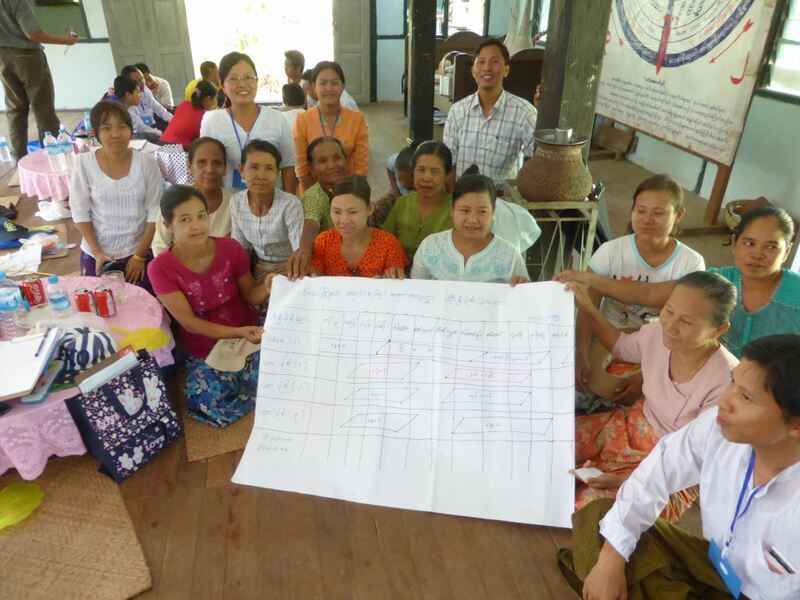 Participatory training is learner-centred, is guided by the needs of the participants and draws on their experiences. 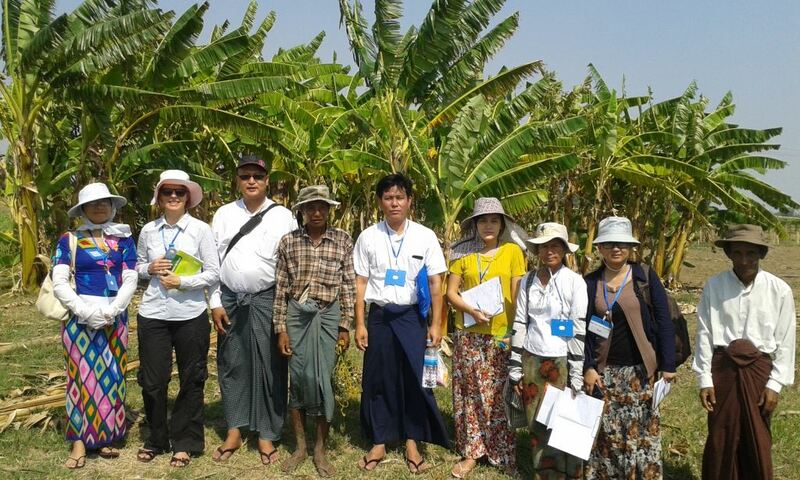 This training is part of the ACIAR Myanmar Livelihoods & Extension Project, led by Dr Julian Prior from the University of New England. 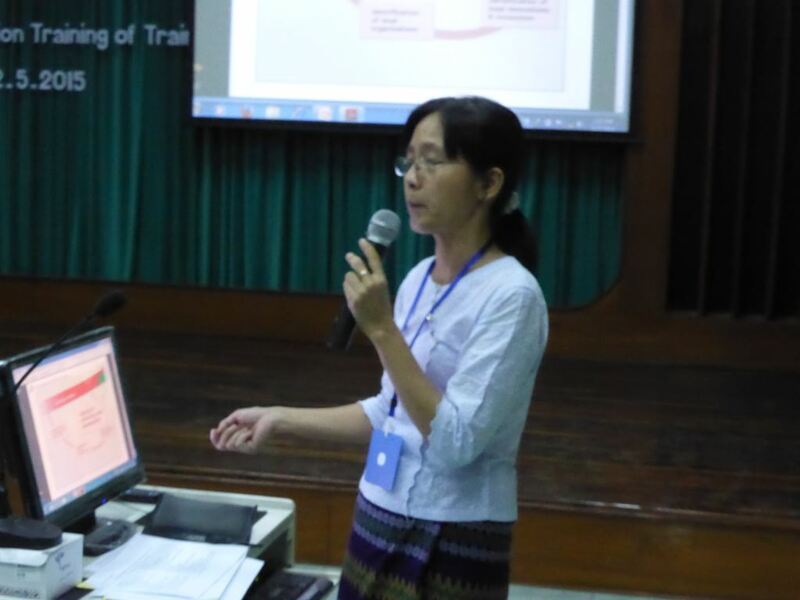 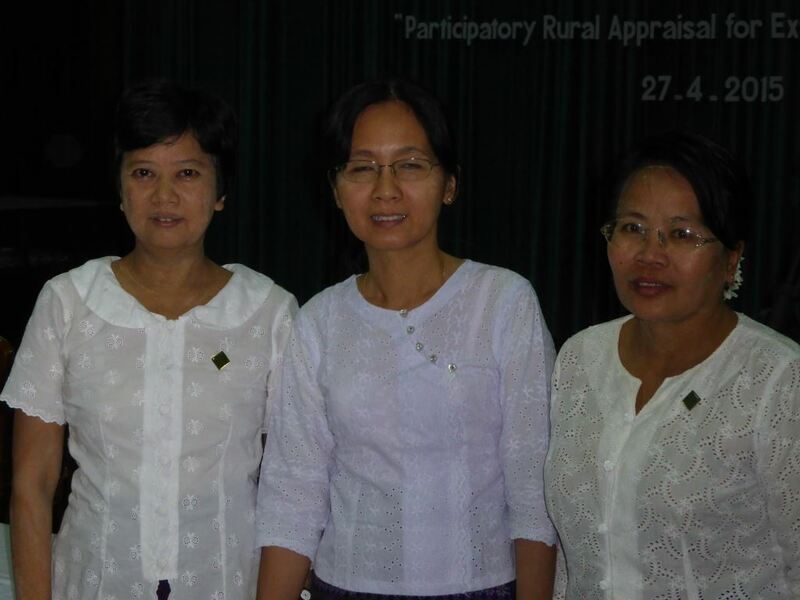 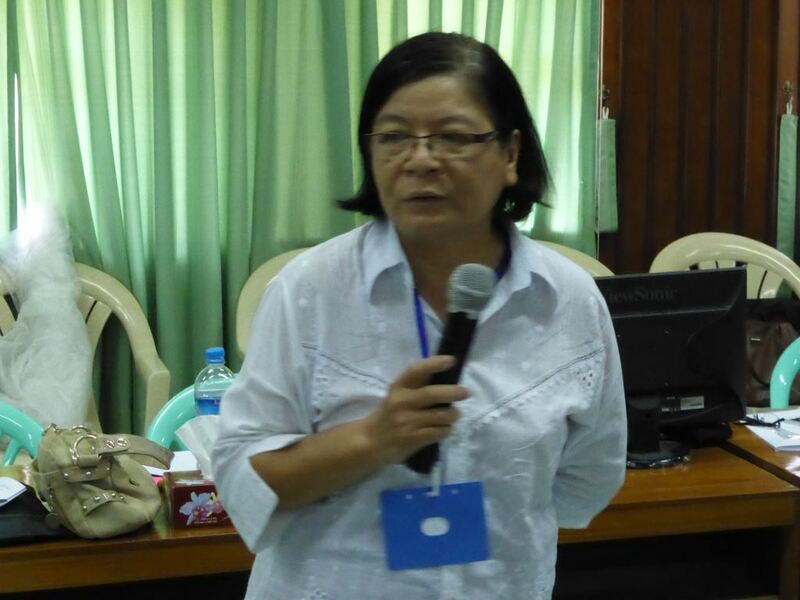 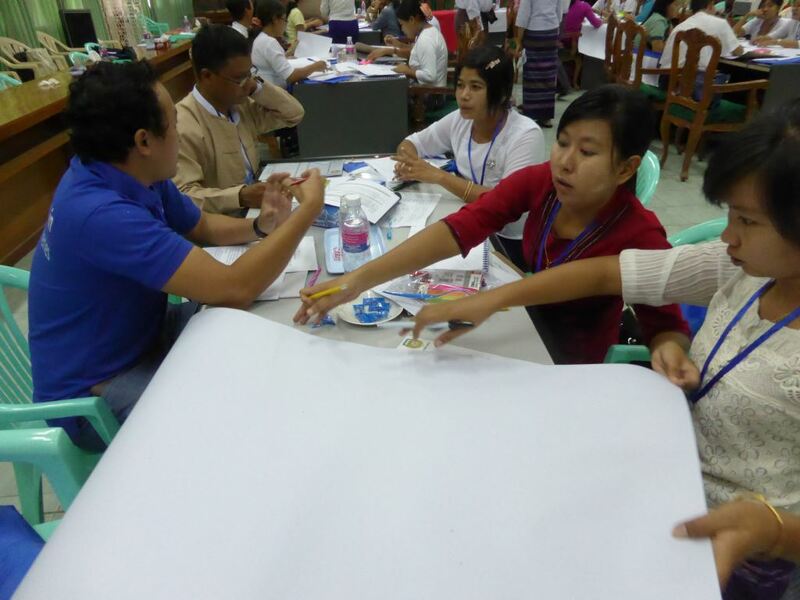 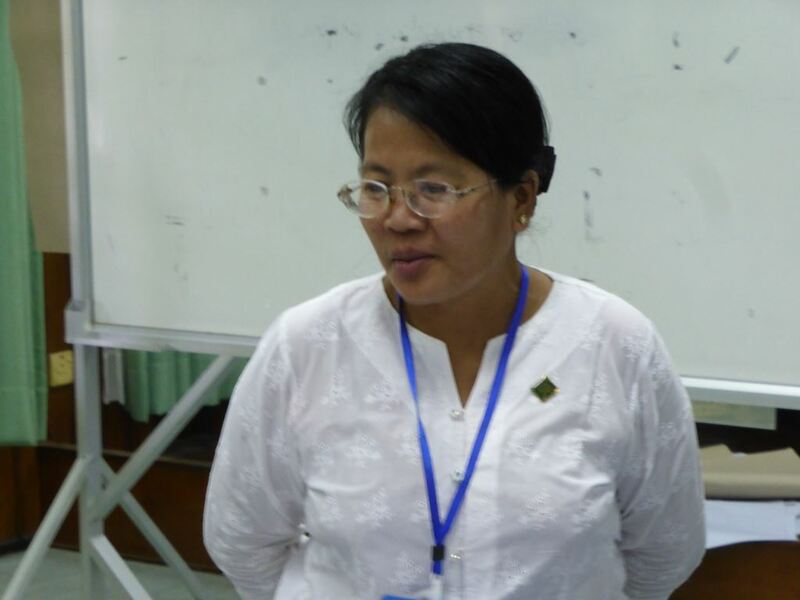 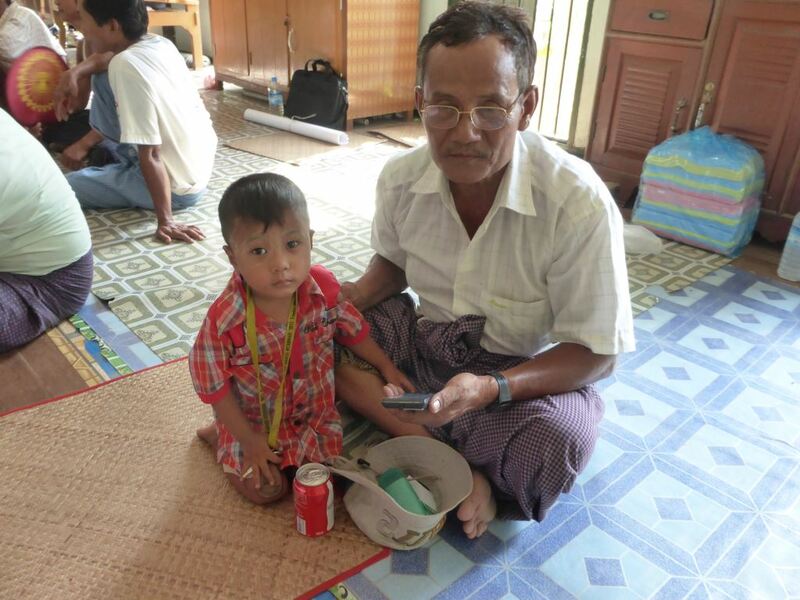 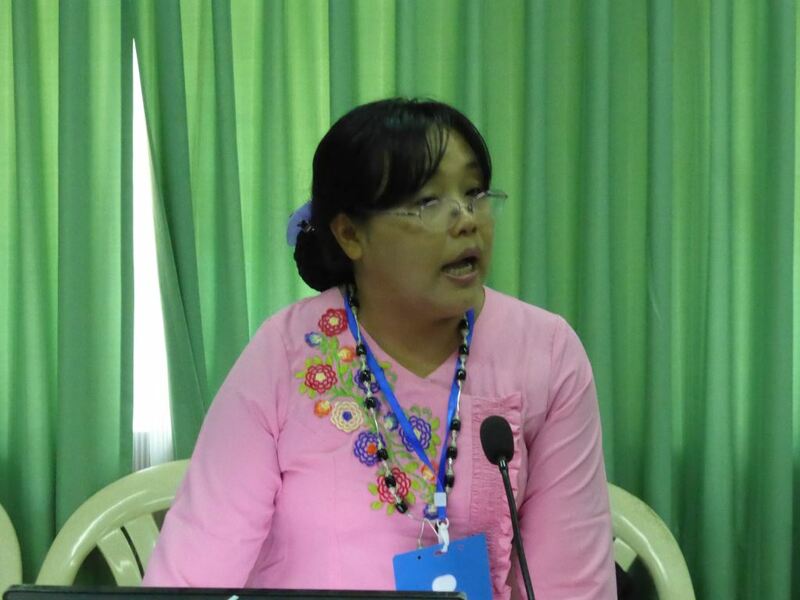 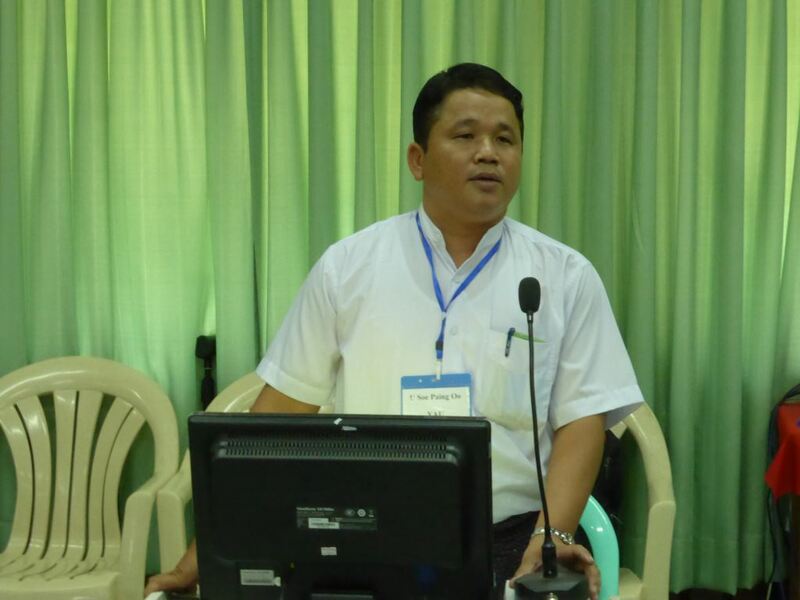 It aims to expose future trainers to the core concepts of participatory research and extension approaches; demonstrate how various agencies can collaborate and to pilot training materials for extension in the Myanmar context. 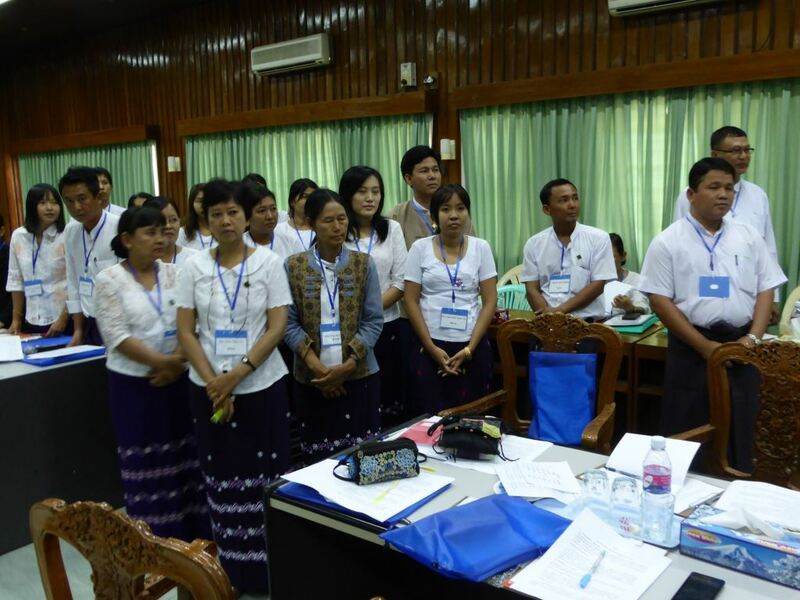 Thirty four staff from the Ministry of Agriculture and Irrigation and Ministry of Livestock, Fisheries & Regional Development were involved. 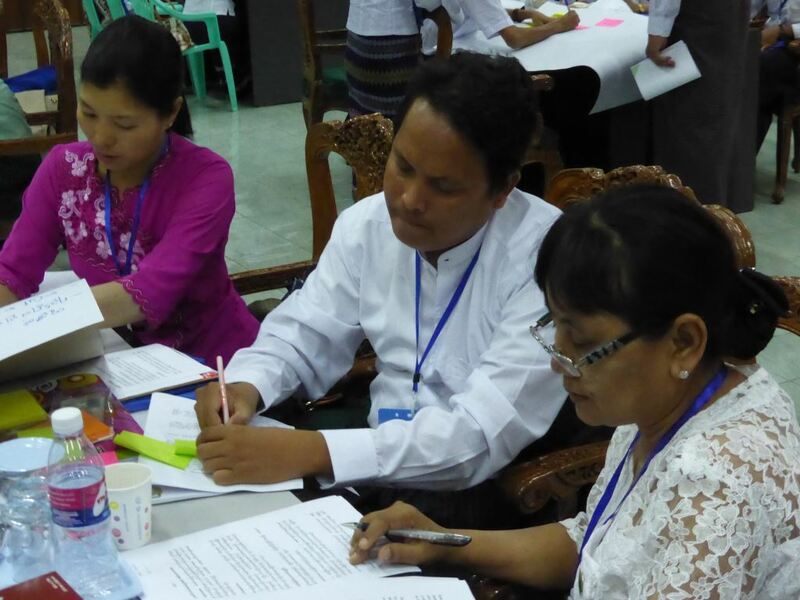 The course began with a theoretical component on participatory training concepts, followed by training in participatory methods. 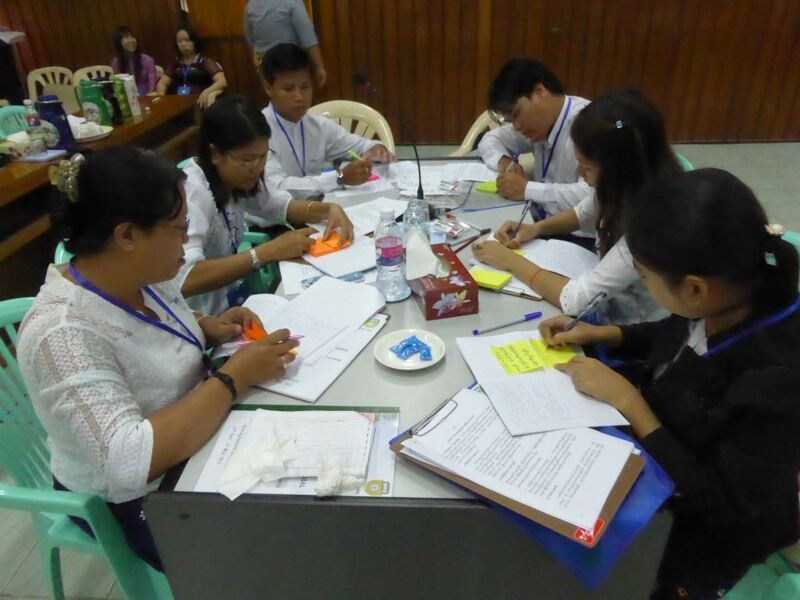 Fieldwork was conducted in teams, then reviewed, interpreted and analysed. 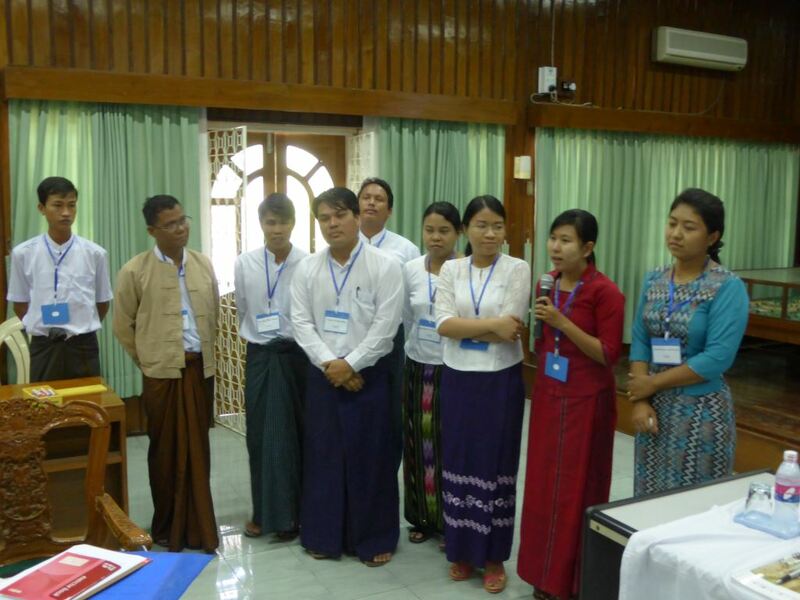 Finally action plans were prepared and presented to other participants on the final day. 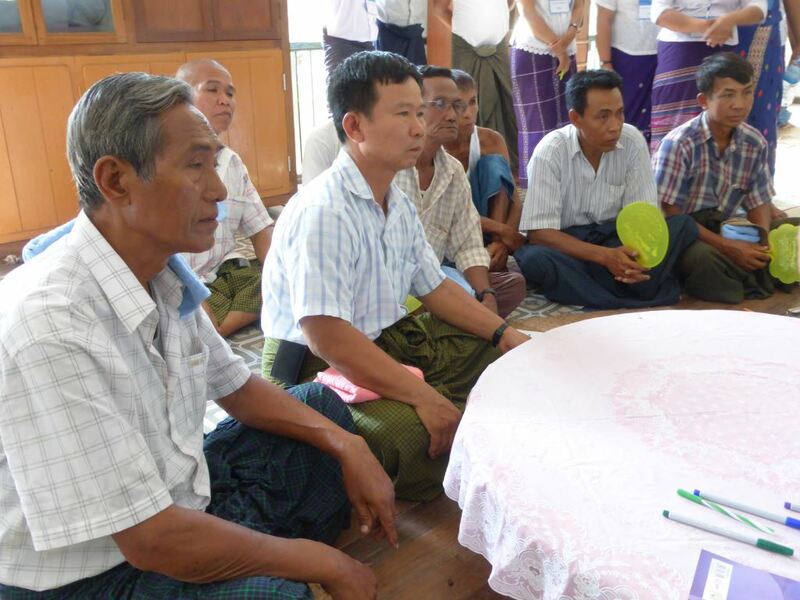 The participatory approach and techniques used with farmers were filmed during the training. 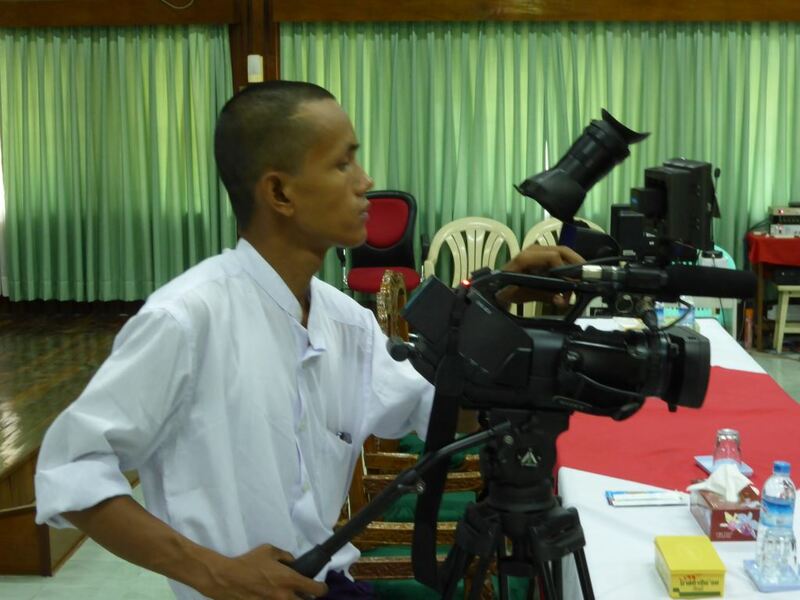 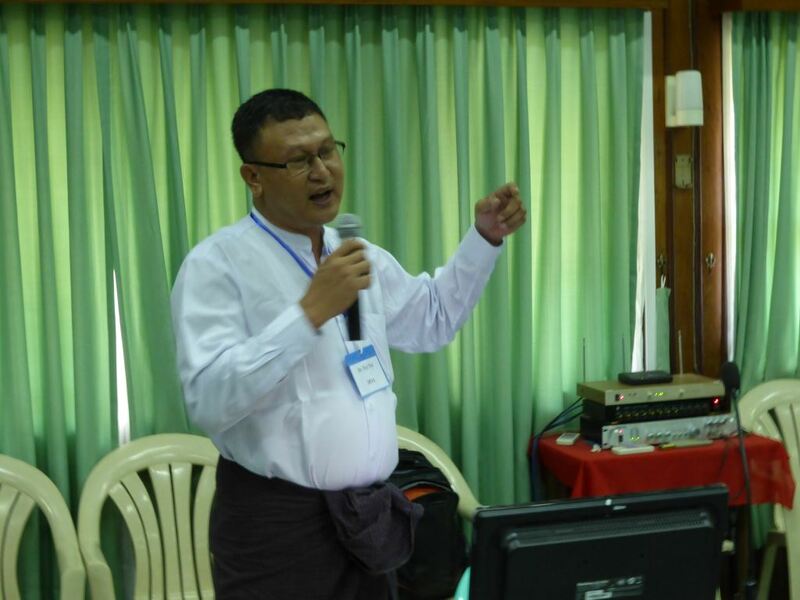 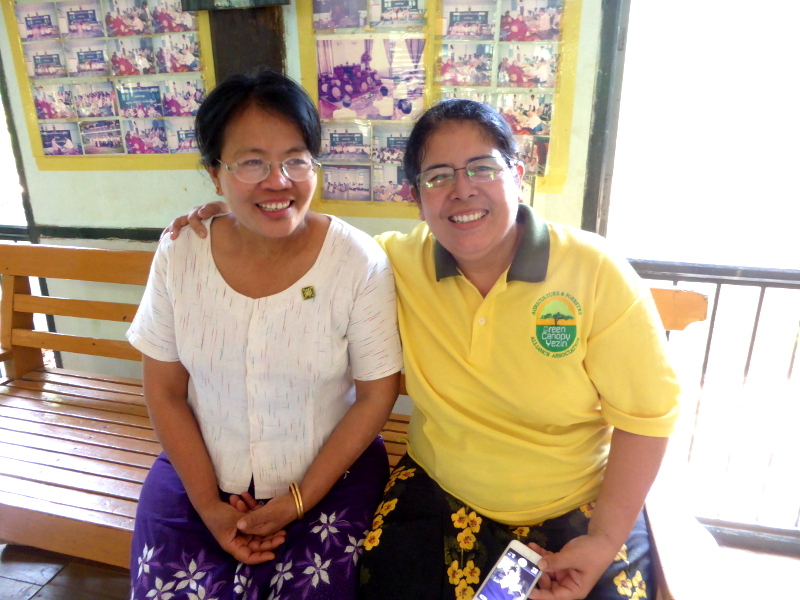 “The plan is to produce 2 video: a longer 40 minute version for the Burma Farmers Channel; and a shorter 10 minute version for the conventional Burma TV channels. 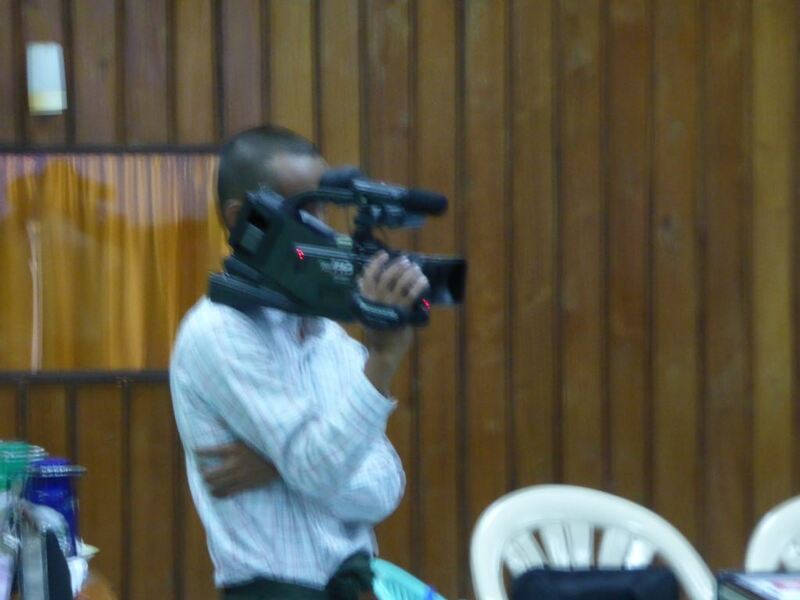 We hope to add English subtitles to both versions to render them suitable for viewing in Australia,” says Dr Prior. 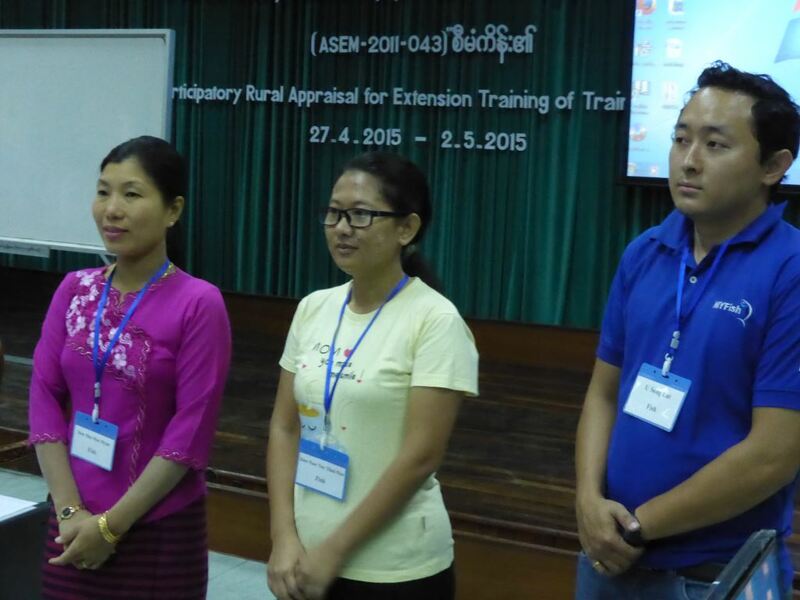 Below are photos of the trainers and trainees in action.